Kobo Deluxe rules. It rules because it creates simple, effortless drama with only a few pieces. 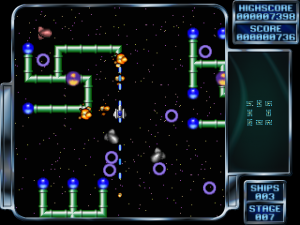 The game is a retooling of xKobo, a Unix action game by Akira Higuchi that itself was based on the 1981 arcade game Bosconian. With each iteration, the game has gotten a little faster, smoother, and snappier. Your targets are “fortresses,” these tree branch-like space stations. Blow up one node of a fortress, and the others under it will blow up too. The center node can take a while to reach depending on the size of the fortress. This feels absolutely rock solid to play. Kobo Deluxe is a lean, punchy game. It moves quickly without being overwhelming. It has a clean, crisp aesthetic. It succeeds by being straightforward as hell: the game has one type of target, and the only controls are moving and firing ahead. You could turn on an “always fire” option and simplify it even more! Once you adjust to the rules, the flow and cycle of the game become an automatic response. I never had to think about dodging missiles; I just did it. It’s that great kind of intense yet easy-to-play game that allows you to get into a zone and space out. This Deluxe version of Kobo adds a health bar and a meter that regulates the speed of your weapon, but those inclusions take away from the appeal of its directness. The classic mode, pared to the basics, represents Kobo at its best. 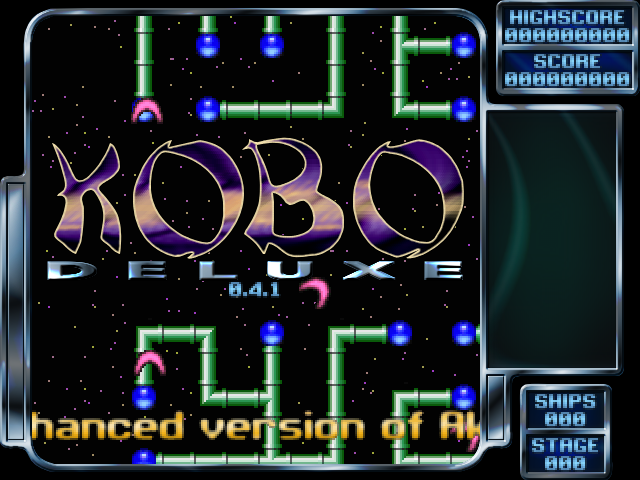 Two separate sequels to Kobo were abandoned, a 3D version by Pierre-Loic Herve called zKobo and an overcomplicated followup to Kobo Deluxe titled Kobo II. The developer of Deluxe released a modernized version of the game, Kobo Redux, in 2017. The first Transcontinental Railroad opened up the American West and ended the need for dangerous pioneer expeditions. So in a way, Knowledge Adventure’s Trans-Con!, an educational game about the railroad’s construction, is the real sequel to the spirit of The Oregon Trail. Although the game is licensed by the model train set company Lionel, the actual trains aren’t the focus. Trans-Con! explores what the construction of the railroad was like. The game switches around between modes and perspectives, and while it occasionally goes off-topic, it always pulls from history to illustrate the West. 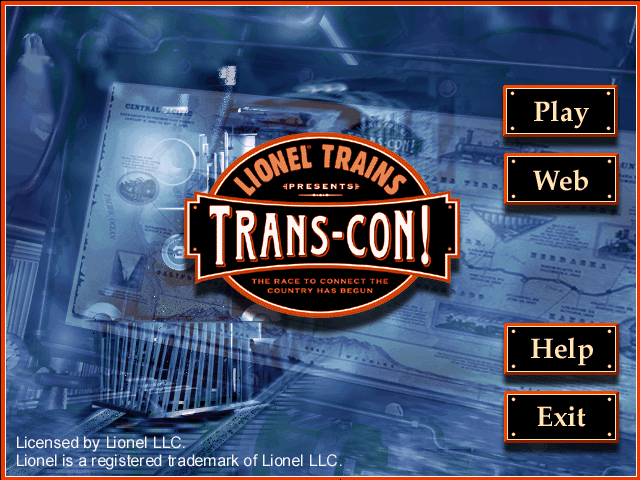 » Read more about Lionel Trains Presents: Trans-Con! Steve Moraff was a singular game designer. 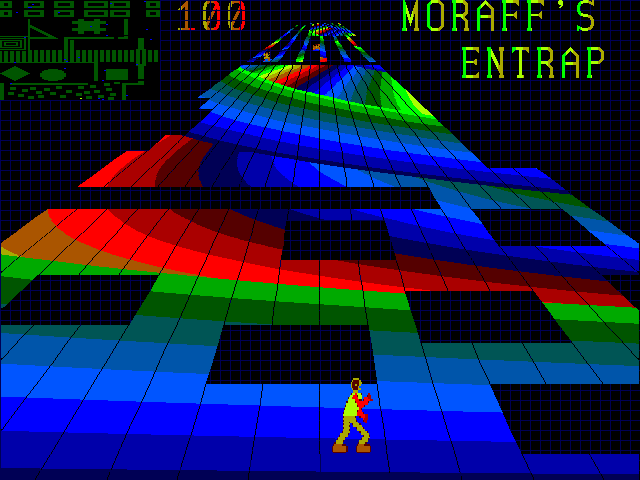 Early in his career, before he exclusively worked on mahjong software, Moraff had independence from publishers, traditions, and standards to create his own games in his own voice. He produced more than a dozen games in a bunch of genres; although a few of those were team efforts, everything from his company MoraffWare bears his name as well as his unusual, technical style. You get the idea that despite MoraffWare being a business, he made games just for himself.